Is the idea of a zapper Zelda title really as bad as it sounds? If anybody would have told you ten, or maybe even five years ago that Nintendo would create a light gun style Zelda title, you would have probably either deemed the said person crazy or just flat out oblivious to what the Zelda franchise really is to Nintendo and the gaming industry. 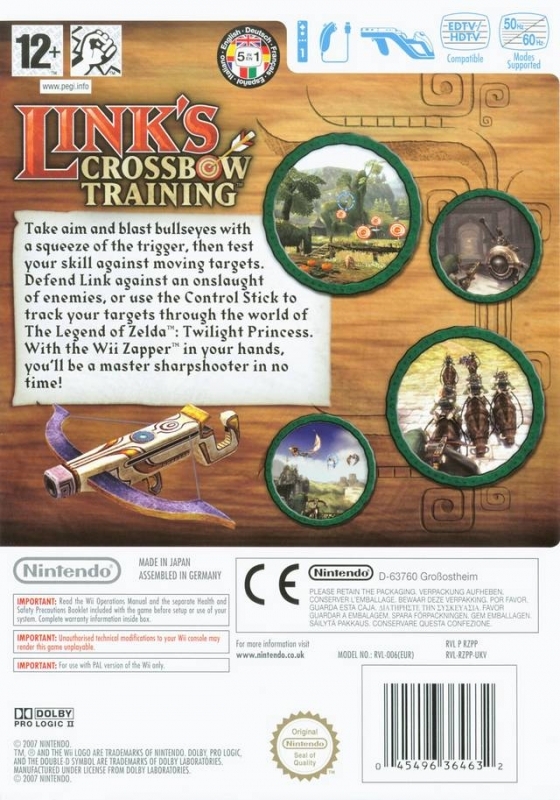 However, Nintendo has done the unexpected, and although Link’s Crossbow Training doesn’t break any new boundaries in the world of light gun style shooting games, what the game does offer is a rather enjoyable effort that allows gamers young and old to experience what the title was intended to do - get people acquainted with the Wii Zapper. First off, for those who don’t already know, this really shouldn’t be grouped with any of the previous Zelda games to have come out in the franchise’s storied history. Like in most Zelda games, you play as the series’ iconic hero Link, and you will encounter many of the locations and enemies seen in the previous Zelda console title Twilight Princess, but all comparisons should stop there. 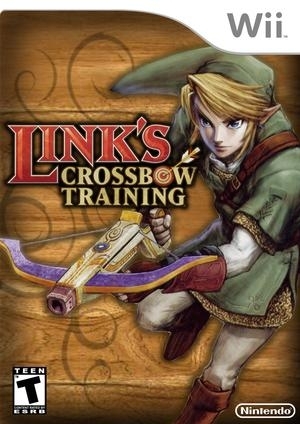 Instead of wielding your trusty sword and shield, you are armed for the whole game with a crossbow, a weapon making it’s first appearance in a Zelda title (and perhaps only appearance) here. You also won’t be solving any puzzles in the game either or be doing anything else along the lines that the Zelda series is known for that matter; it really is a completely different experience. For the most part you won’t be controlling Link throughout the game, and will instead be guided by the game itself, in first-person view, much like your typical on-rails shooter. Other stages involve controlling a stationary Link’s vision by moving the reticule on screen either left or right, scanning the 360 degree field around the stage for enemies to mow down. The final and what seems to be the most satisfying type of stage have mini boss fights or waves of enemies you must destroy that allow you to move Link in a third person view with the nunchuk. These stages, although often feeling a little on the short end, offer a nice change of pace and compliment the game nicely. 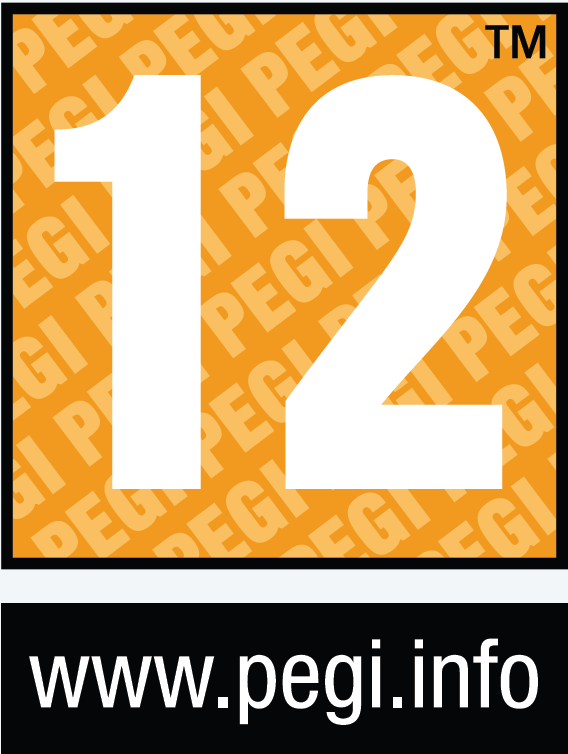 The whole game is split up into nine levels with three stages in each level, each revolved around shooting different objects. The objects you shoot vary greatly, ranging from your standard stationary target, to enemies encountered in the Zelda universe (like series’ mainstays Moblins), and even secondary background objects such as pots or doors. If these objects are shot repeatedly in combo fashion, you really begin to rack up a plethora of points, greatly improving the depth that the title offers. Each stage requires you to beat a certain objective, whether that is shooting multiple targets or firing at enemies within a time limit, all for points, awarding you different medals depending on your number of points. 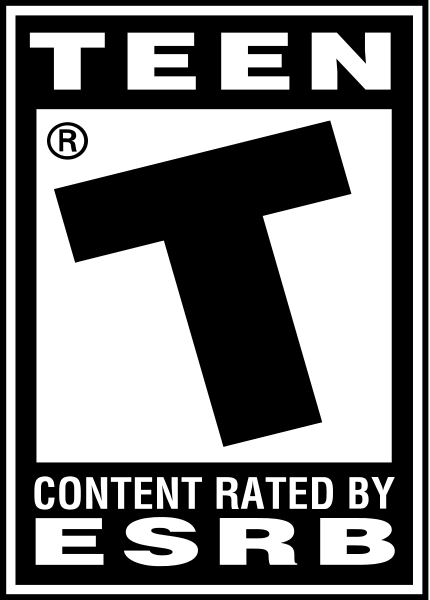 But the main question is, can the aforementioned gameplay elements translate into an overall enjoyable game? For the most part, the answer is yes as the game accomplishes what it and many arcade style shooters set out to do, with each level providing you with quick spurts of fun that allow much room for improvement on multiple play throughs. Also, the title packs in many objects and secret routes you most likely missed out on your first play through, definitely giving reason to come back and pick up the title again. The game does not have a storyline or plot, but it really doesn’t need it, as the whole point of the game is really all about racking up loads of points by stringing together large combos while at the same time getting users familiar and comfortable using the Wii Zapper. 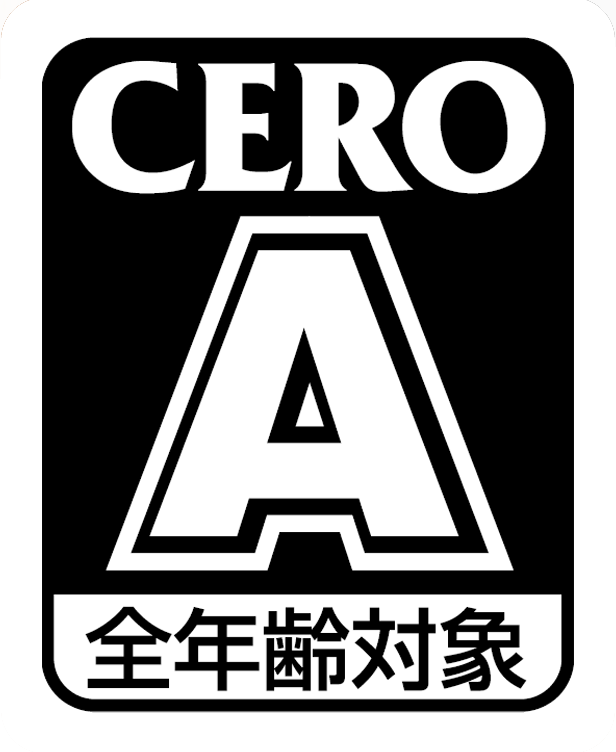 The game itself will take you only about 30 minutes to beat if you just beat the levels once and never go back through. But it can’t be stressed enough that there is a great amount of replay value and fun to be had if you go back through each level and try to achieve high or even the highest medal ranking, in this case platinum. 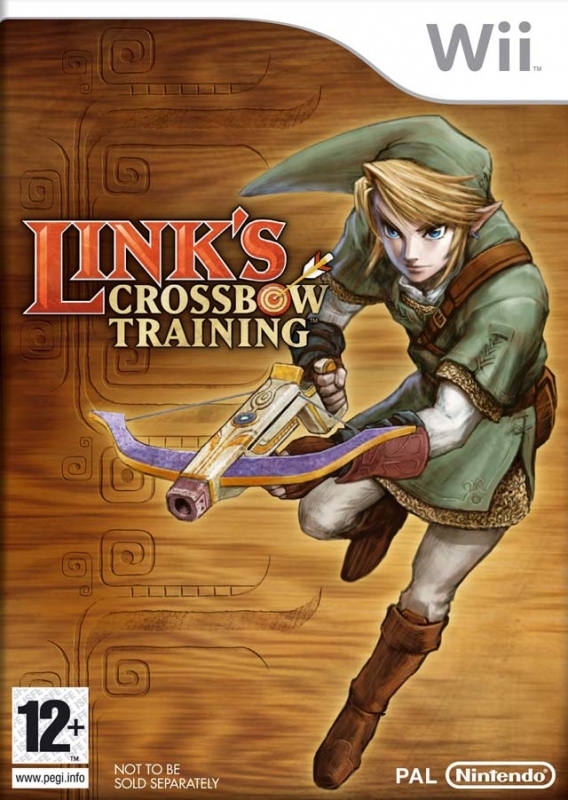 This aspect seems to be where Link’s Crossbow Training truly seems to shine the brightest. Unfortunately, the biggest problem this title bares is the lack of any real multiplayer and oh man, could it have used it. Instead it offers up to four players the option of taking turns at stages to see which player can rack up the most points - a gimmicky way to add multiplayer to a light gun style shooter if I’ve ever seen it. 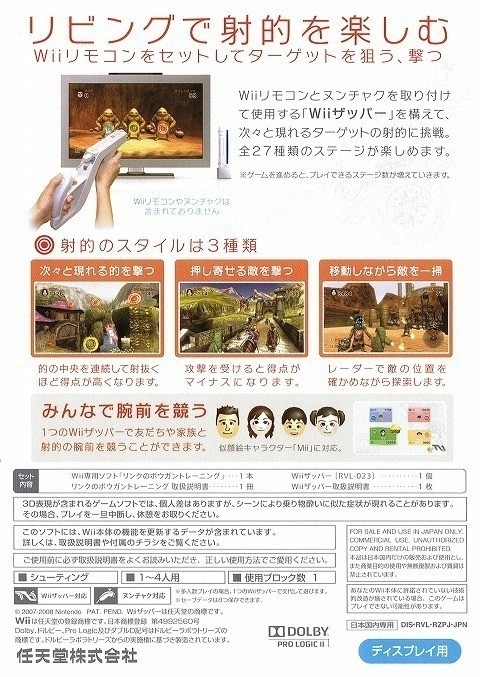 You’ve got to wonder what Nintendo was thinking here, as a solid multiplayer option that allowed more than one reticule on screen at a time would have fit the game (and Wii system really) perfectly. As mentioned previously, the game’s locations, music, and graphic engine are all borrowed from The Legend of Zelda Twilight Princess, which is a great extra for those who have played it. It’s really a great feeling to see and hear all of the areas you played through in that game. The art still maintains its colorful and unique touch, and although the graphical presentation from Twilight Princess may be starting to seem a bit outdated by today’s standards, it is really nothing to complain about and still looks great on the Wii, and even better when using the supported 16:9 aspect ratio in 480p. The whole reason for creating the game though, is pretty obvious, as it’s packed in with Nintendo’s new peripheral, the Wii Zapper, which is obviously compatible with the game. It seems to me that Nintendo realized that packing the Zapper with a game set in the Zelda universe would sell much more units than if it wasn't packaged with the game, which inevitably means that if there were no Zapper, this game would have never existed. It was definitely a smart move for Nintendo, offering a short Zelda spin off game with the Zapper almost guaranteed a platinum seller and tons of Zappers sold, but as the consumer it still seems like somewhat of a sloppy cash-in, as a Zelda game should probably never revolve around just shooting things, no matter how much it strays from the traditional Zelda formula. Not only that but the Zapper doesn’t really do anything to improve upon the title at all. Sure, it may seem like the Zapper may improve aiming and functionality, but it does not and more or less tries to mimic the true light gun experience found in arcades everywhere. You’ll never get the Zapper to truly line up directly with where your Wii Remote points to on screen, which is disappointing to say the least, but you’ll run into the same problem with just the standalone Remote as well. By no means does the Zapper seem to ruin the gameplay. 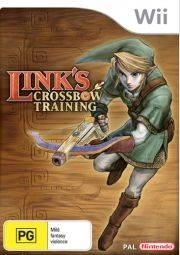 Essentially, it creates a more engaging experience, simulating the feeling of actually holding a crossbow. It’s just too bad it couldn’t offer anything more than just a simulation effect though. For me, the Zapper improves my accuracy but increases the amount of time it takes me to shoot. However, it certainly makes the overall experience more fun, especially at parties - like the Wheel. Theoretically, the idea of a shooter Zelda game still comes across a bit odd and really does not fit the franchise at all. Add to that a lack of any real multiplayer and levels that tend to seem to fall short, some gamers might be left scratching their heads on whether to pick this one up. The truth is, if people can get past these hick-ups, the game will definitely offer gamers and non-gamers alike (that take the time to replay levels) quick spurts of fun as the varied gameplay mechanics and replay value offer a few hours of fun. It's just unfortunate that with what is essentially a $10 game packed with a $10 Zapper, Nintendo couldn't have done anything to make that packed-in $10 peripheral really do anything to build upon the solid gameplay. Which is a shame, especially for those wanting to use the Zapper elsewhere.